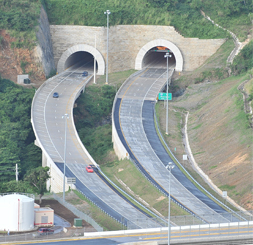 Highway Revenue Bonds are payable from gross revenues derived from Commonwealth of Puerto Rico gasoline and other fuel taxes, highway tolls, and certain license fees. Pledged taxes must be used to provide for debt service on the Commonwealth's general obligations and guaranteed debt if and to the extent that other Commonwealth revenues are insufficient for such purpose. However, such other revenues have always been sufficient. The Authority is required to accumulate and maintain a debt service reserve equal to the lesser of the maximum annual debt service on its Highway Revenue Bonds or 10 percent of the principal amount of the bonds outstanding. Transportation Revenue Bonds are payable out of the excess proceeds after payment of Highway Revenue Bonds plus proceeds derived from an Excise Tax on certain petroleum products of $9.25 per barrel up to a maximum of $120 million annually, in addition to any toll revenues on the Authority's traffic facilities that were not financed with Highway Revenue Bonds. The Authority is responsible for the construction, operation and maintenance of Puerto Rico's toll road network, major highways and mass transportation facilities. Revenue Bonds, federal grants and specified tax revenues (after debt service) pro­vide the bulk of financing for the construction of these facilities.